Malaysia Real Estate Agent / Property Negotiator Khairul Zainal's Property Listings | CBD PROPERTIES SDN. BHD. 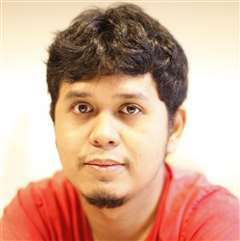 Khairul Zainal , the co founder of Hartanahviral.com has been  an active Registered Real Estate Negotiator for 2 years and has been a Real Estate Photographer for Airbnb for 7 years. He focus primarily on Sub sale and Rental unit properties that is for investment and good rental yield in KLCC and Klang Valley. If you are an owners/purchasers/tenants/investors, you are welcome to list your properties with him.